For both pistol and rifle ammunition, nickel-plated brass casings offer a unique spin on the standard brass or steel casings. When it comes to nickel vs. brass, nickel-plated brass looks nicer than standard brass casings and can be reloaded – making it a great choice for someone looking for an aesthetically pleasing and functional cartridge case. Remington, Federal and Hornady are noted for using nickel-plated ammo in their premium lines. Law enforcement looks highly upon nickel-plated casings due to their corrosion resistance. They are created by electro-plating brass casings with a thin layer of nickel. The result is ammo that is highly resistant to verdigris (those green spots that show up on old brass). While mainly associated with cartridge loops on leather gun belts and cases, this corrosion can sometimes show up in other unexpected places where you store your ammo. Nickel-plated casings feed smoother than your average brass casing due to its naturally lower friction than brass – which leads to smooth feedings and extractions in semi-automatic weapons. This improves the weapon's overall performance and reduces the odds of getting a jam. Smoother feeds also lead to less overall wear and tear on your firearm, so you’ll be replacing less parts over the years. This type of casing can be reloaded just like brass, as long as it remains intact. 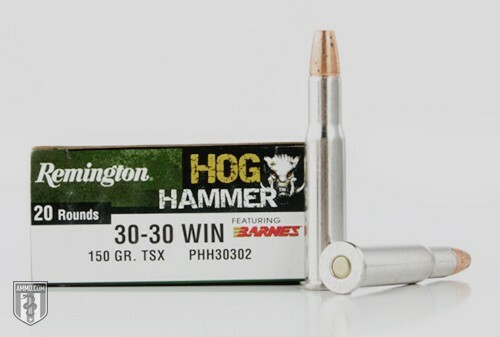 It may split at the mouth a bit quicker than brass, but you should still be able to get plenty of life out of these casings. Nickel-plated brass will also return close to its original sizing, making it easier to extract. Many armed professionals and concealed firearms carriers find the nickel-plated cases easier to see when checking the chamber to make sure their firearms are loaded. Nickel-plated brass casings with an appealing bullet simply look phenomenal – and you can use these as decoration if you have some old revolvers on the wall. A nice spread of this ammo around a firearm can transform it into art. This is also the ammo commonly found on jewelry because of its shiny exterior. Should you buy nickel-plated brass over regular brass? That comes down to what you’re going to do with it. Nickel-plated has a better anti-corrosion factor, which is perfect for those who stockpile or buy in bulk. It all comes down to personal preference with this particular casing, but one thing is for sure – nickel-plated brass shoots as well as it looks.